When looking at game design, a few things are necessary in order for co-op to work properly. Most of these things gamers don’t think about on a day to day basis - and it’s not covered in our Co-Op Terminology guide. It’s the core principles for getting players to work together, which Ubisoft designer Patrick Redding disclosed at GDC. He talks about moments where he is very satisfied with during the co-op test phase, and things that every developer (should) think about during co-op development. The first core principle of co-op that Redding talks about is something he calls “Gating.” It’s basically the tactic developers use to keep players close together - locking confined areas until they’re cleared by both players, keeping goals close to the same spot, etc. Gating has been used for years to keep players together, either with the screen not scrolling until the Foot are dispatched in TMNT: Turtles in Time or with doors remaining locked until both players are present in Resident Evil 5. Most games that break away from this tactic do it very briefly, often with one player covering the other during moments of forced separation. 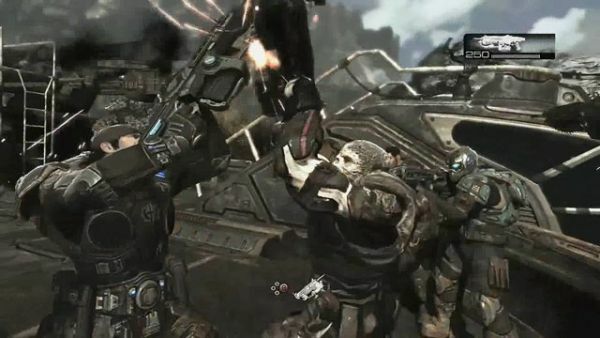 Gears of War 2 had several sections that separated the characters so they could not revive one another, but you were able to cover the other player by shooting enemies they may not have been able to see. However, F.E.A.R. 3 is trying to go the route of single-player co-op using something they are calling “Divergent co-op.” Since the game isn’t out yet we can’t tell if this was a good move or not, but F.E.A.R. 3 did use another tactic for keeping players together in their "F**king Run!" survival mode. The other way games tend to keep players together, according to Redding, is by making the game more difficult when players are separate. Overwhelming players when they’re caught alone, things like that. In Splinter Cell Conviction we saw a bit of both. 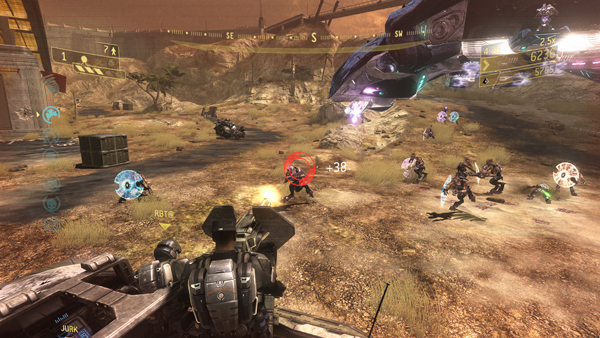 Players were kept together through “closed” combat and exploration areas, but if you wandered off too far from one-another players could find themselves in a sticky situation. Left 4 Dead excelled at this as well, if you ever wondered from the group, it wouldn’t be long before your brains were consumed. Next up is a skill that we co-op gamers take for granted, the buddy revival system. How it works depends on the game, but the basic idea is the same everywhere. One player collapses from health-loss and their partner has to find their way to them in order to revive them. We’ve seen it countless times, but what makes it so important to playing together? p>Bleeding out is a common effect of being knocked down by an enemy, if your partner doesn’t revive you within a certain time period you may find yourself watching the action from the “deceased” chair in the audience. Keeping players not only close together, but on their toes at the same time (listening to “help me, I’m down!” over the headset, or other forms of communication). 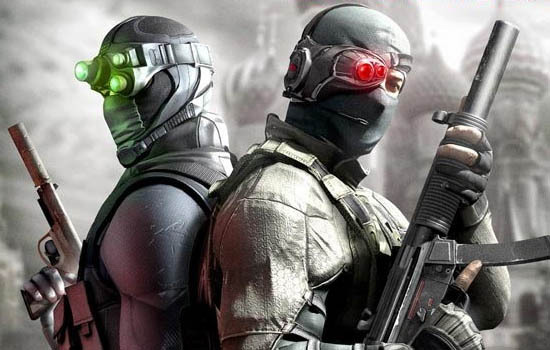 Redding said they had a lot of success in getting players to work together with Splinter Cell Conviction because of the buddy-assist-revival they implemented. 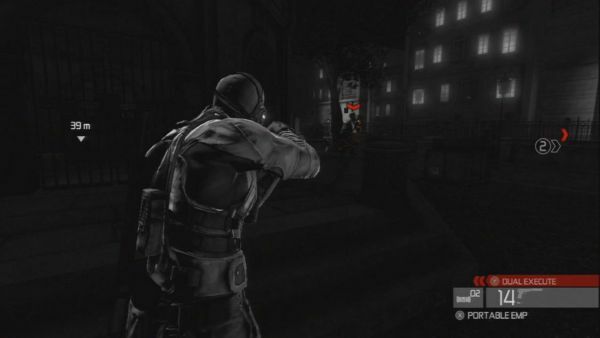 Moments like this also occur in games like Left 4 Dead, where downed allies can assist their partners by using the handgun (in order to expedite their own revival). The very definition of win-win right here, folks. Redding goes on to talk about players directly assisting other players. Not in the sense of Halo Reach where you help each other kill the same guy with bullets in normal-action. More like Diablo 2 or Borderlands where you’ll use one players special abilities to aid another player. In Splinter Cell: Conviction this aiding system is in the form of the co-op marking execution, where one players actions make another player more powerful. He did admit that people probably didn’t realize this was happening, but the co-op mark and execute ability is a blast none-the-less. Things like unlimited ammo for the team in Borderlands or a constant aura in Diablo 3 fall under this principle. The final co-op principle mentioned by Redding, and one that has found its way into many games across the co-op realm, is survival. Halo does it, Gears of War 2 has it, too. Games choose to implement the survival mode in a variety of ways (Mercenaries for Resident Evil 5 and F**king Run! for F.E.A.R. 3) but a cornerstone in co-op is the survival mode. Survival mode, Firefight, Horde mode - whatever you want to call it, it’s the most commonly re-played and co-op heavy element to gaming in this generation. Meant to challenge players to compete for top score as well as keep the team alive to reach the next wave, survival is one of the biggest reasons to pick up a finished game with your friends for years after completion. Reddings final quote of GDC is one of the core values of our website, bringing new gamers together with old gamers and building a bond. This principle has brought games like Slam Bolt Scrappers, and Castle Crashers to that special place in our hearts and on our consoles. Co-op is often the easiest way for a new player to get into a game. Page created in 0.3947 seconds.